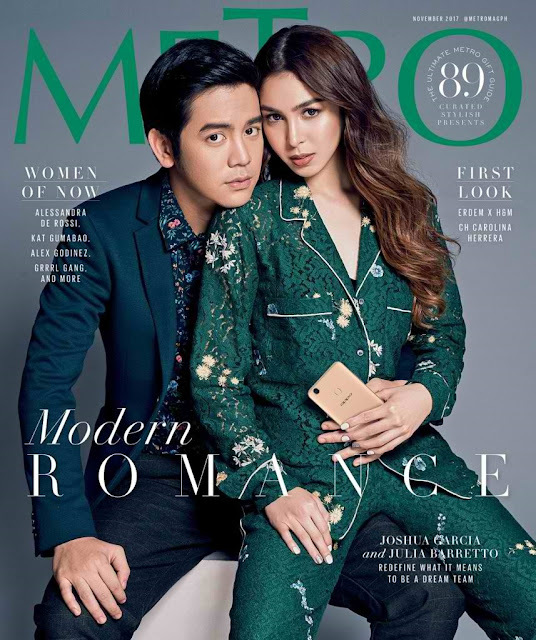 Metro magazine, the country’s authority in style, features one of the hottest and most exciting love teams of today, Joshua Garcia and Julia Barretto, on the cover of its November issue. Julia is no stranger to Metro pages as the magazine has charted her story in many covers—Julia the cool girl, the ‘it’ girl, and now, Julia, in love. Joshua comes off more as a mystery. He is developing a reputation of being an actor’s actor, and is often described as a young John Lloyd Cruz. His candor and easygoing manner give him that charm. Another impressive showing of force in this issue is the Women of Now list featuring ladies who all combine style with substance: Kat Gumabao who has been fighting for body positivity for years; Grrrl Gang, led by Mich Dulce, who lends its loud voice to various women’s issues; and Sheree Gotuaco who talks in images through her brand’s National Artist series. Alessandra de Rossi is likewise experiencing a renaissance of her own. These women, together with Alex Godinez and Gabby Sareñas, show the power of the female, of believing in something so much that it becomes a reality. Also, because it’s Christmas time already, Metro has the ultimate gift guide and continues its curated list online through the new website: Metro.Style. This site will have everything from fashion to beauty to lifestyle, but will also tackle career, relationships, home—everything you’ll need for a stylish life.